Assess and manage compliance risk. Discover the benefits of infrastructure and solutions utilising integrated compliance controls that enable you to quickly assess and respond to your organisation's compliance risks on an ongoing basis. Streamline processes. Make reporting easier using built-in, audit-ready tools in Microsoft 365. Get actionable insights. Use the centralised dashboard in Compliance Manager to conduct a real-time risk assessment of your Microsoft cloud services. Protect personal data. Understand why businesses need to adopt compliance requirements across three areas: identity and access management, information protection and threat protection. 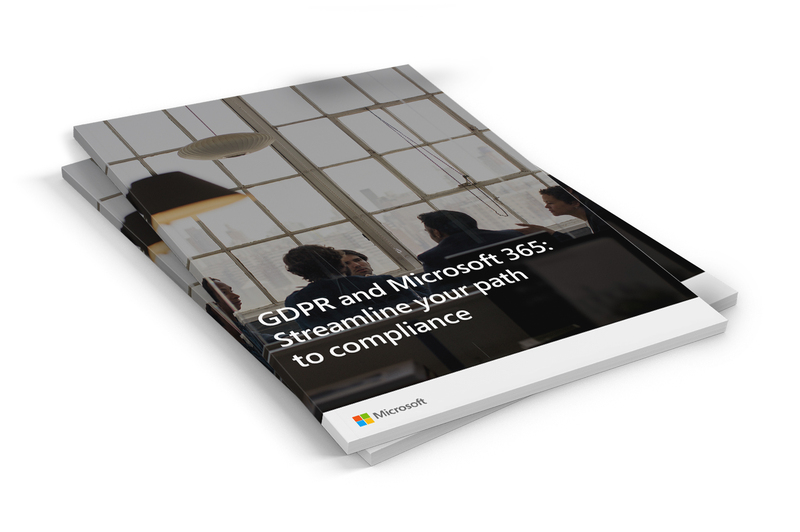 Download the eBook to learn more about how Microsoft 365 can help you protect your customers’' privacy – and achieve GDPR compliance.